Youtube was founded in 2005 and since then it has stayed consistent. Youtube is like a classic car. If you modify it too much you decrease its value. People love it how it is. Until recently Youtube has been fairly consistent. They add a feature every once in a while. They made channels nicer and more customizable in 2009. They added higher definition video and a video editor. But the consistency with Youtube is what us Youtubers love. That strategy all changes in Cosmic Panda. 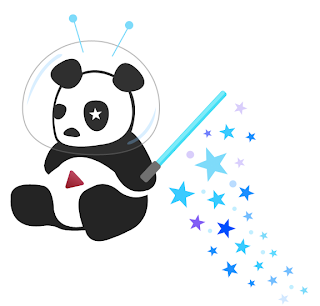 If Youtube adopts Cosmic Panda or Social Project X then they are digging their own Coffin. They are making an effort for one to integrate with their failed Social Network Google +. This would take a lot of the anonymity out of Youtube. People thrive on anonymity on Youtube. Everybody has an alias, and Youtube is a place of solitude from everyday life for many. Cosmic Panda is their worst mistake. In a poll we took 89% of Youtubers disliked Cosmic Panda. A few reasons we got were the loss of personalization and ease of use. I liked the flow of Some of Cosmic Panda but found that it did take away a lot of features that make Youtube Youtube. The new channel layout can only be described as annoying. The new Facebook/Twitter integration was the only thing I liked. Is Google losing their edge? No. They try a lot of things and most of them find at least some success. They need to try to stop dumbing down products to suit a general audience and listen to their users. We expect better Youtube and we know you can. Work on it. Comment on what you think of Cosmic Panda below.